Dreaming of the perfect women’s safety shoes, ultra light, mega comfy and outrageously beautiful? Well… gotta find yourself a new dream ‘cause P&F just made it real for you ladies! Lightweight (465g. / 1 lb per shoe) and comfortable. Kevlar midsole and steel toe CSA 1 approved. 2 pairs of colorful laces. Acoustic and thermal insulation properties. 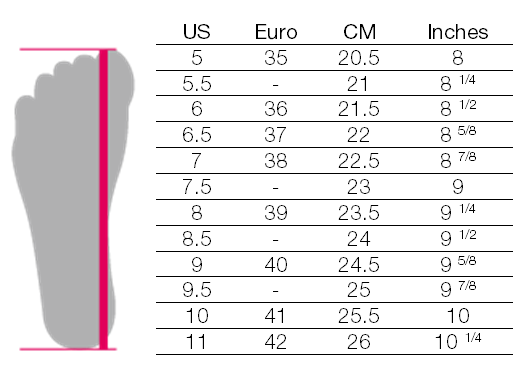 For a greater purchasing experience, please validate the right size with our chart. (Measure your feet). Lightweight (465g. / 1 lb per shoe) and comfortable. EVA outsole. Nubuck leather upper. Flower printed lining. Kevlar midsole and steel toe CSA 1 approved. Dielectric approved. 2 pairs of colorful laces. Impact and vibration absorption. Resistant to soft chemicals. Acoustic and thermal insulation properties. I bought these work shoes in November 2015. I absolutely love them. So much so, that I just ordered a new pair online, the exact same style and color. I walk a great deal with these shoes and find them comfortable. I absolutely love these shoes, after wearing them for more than 2 months, my feet are comfortable and I they are so me! I would very much recommend these shoes! ? Love these work shoes very comfortable and stylish…will definitely be ordering in the future! Love these shoes, they meet all safety requirements but are still stylish & most importantly, comfortable.